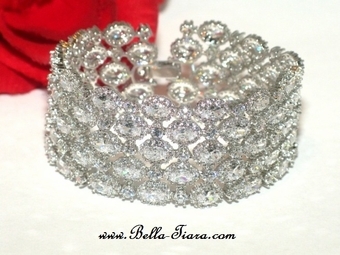 Description: GORGEOUS new design spectacular high end cz wedding bracelet. a must have for any special event. 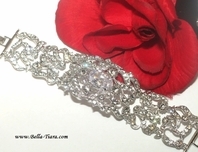 Sophisticated, bold and elegant diamond like design. approx. 1 1 /2" wide 7" in diameter.